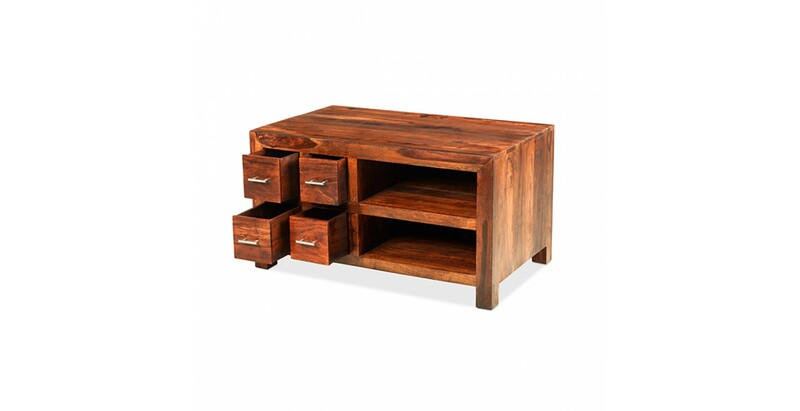 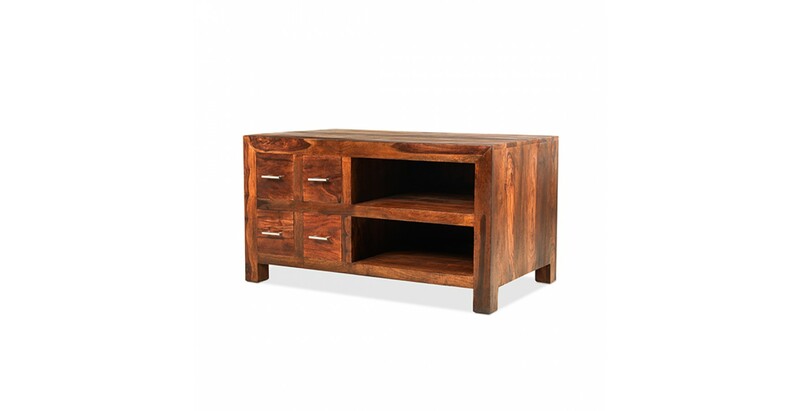 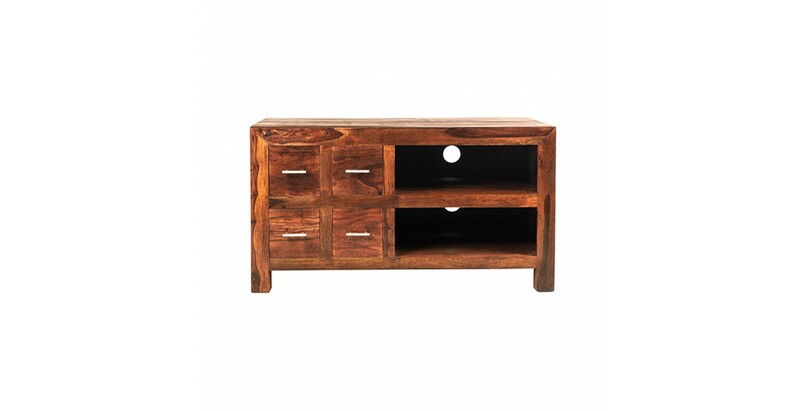 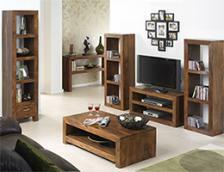 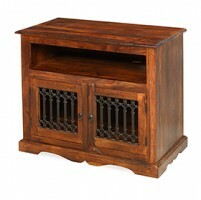 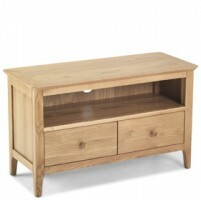 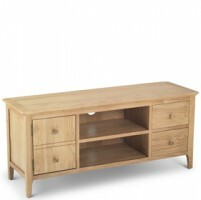 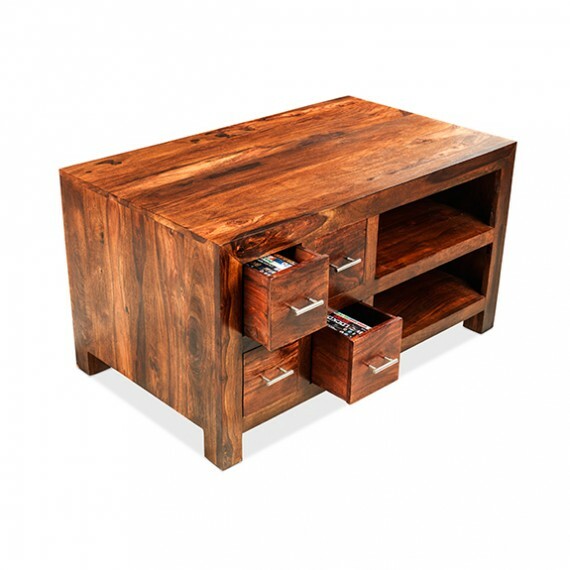 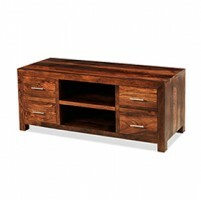 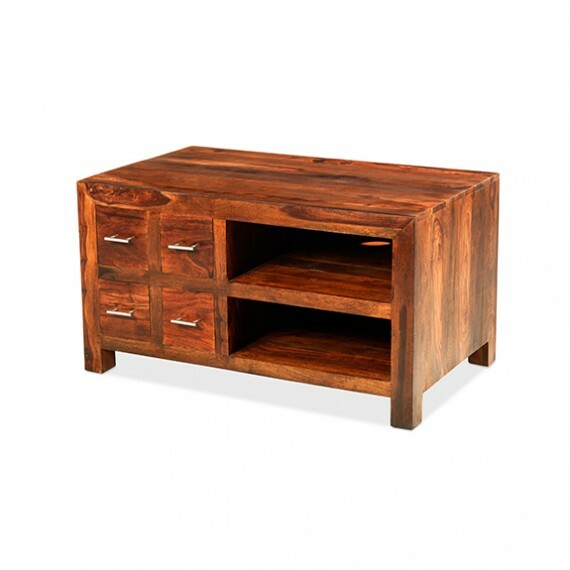 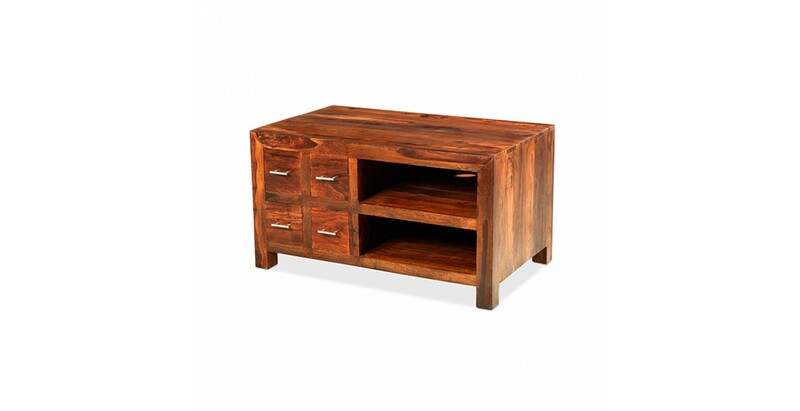 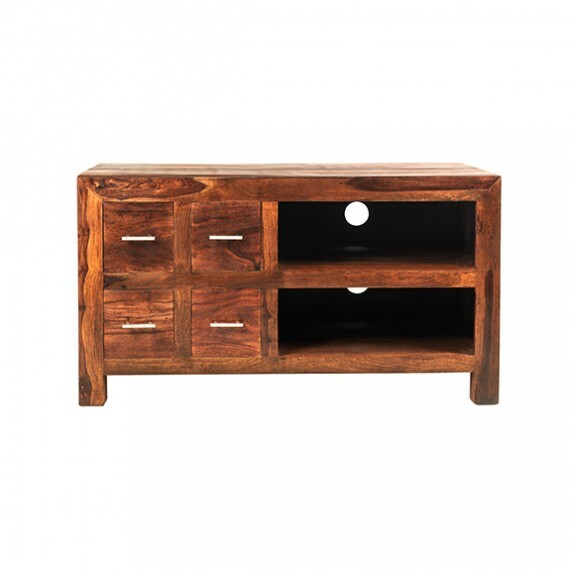 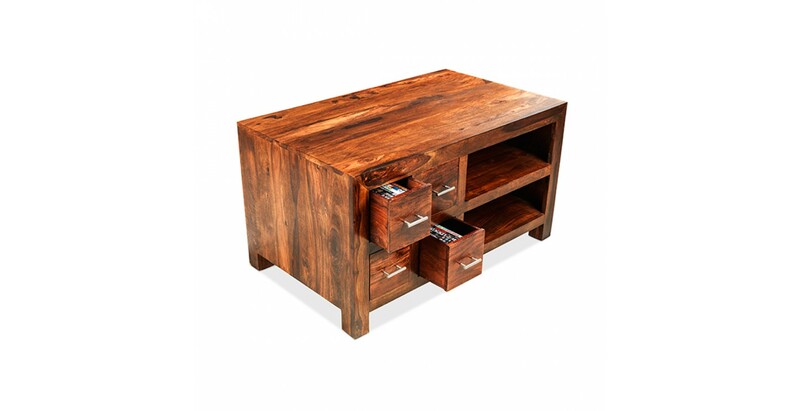 Beautifully handcrafted from exotically dark sheesham wood, this gorgeous TV cabinet will make a fine spot for your widescreen TV. 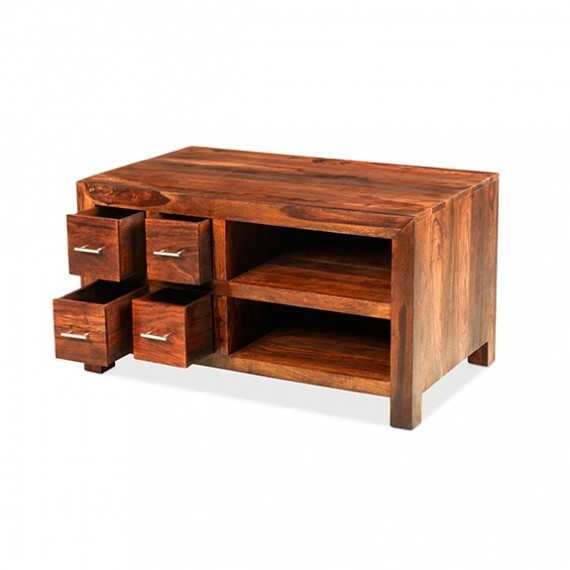 Its sleek, geometric lines place it very much in the here and now, while its dark-hued, uniquely grained appearance reminds you of its Indian origins. 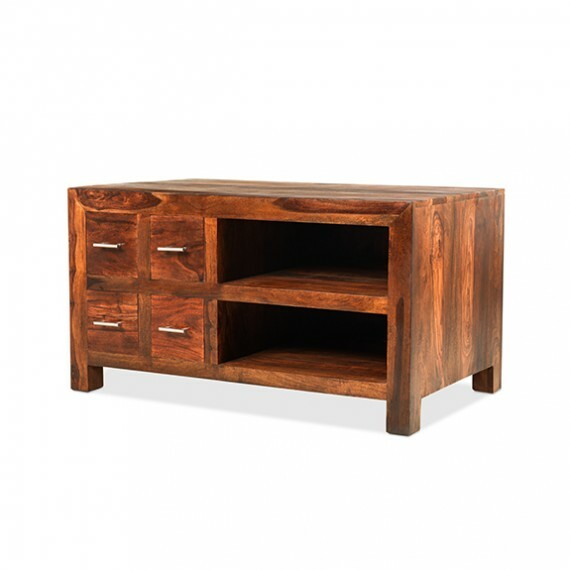 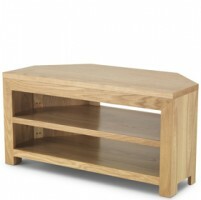 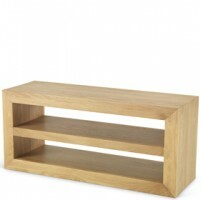 There's room in the two open compartments for your DVD player and other media devices, while four square drawers with brushed metal handles will keep spare remotes, cables and other bits and bobs out of sight.